It was almost a launch by stealth for new quiz show Have You Been Paying Attention? on TEN last year. 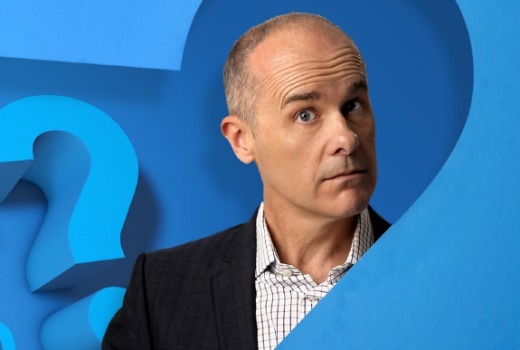 Sneaking on air quietly in the final weeks of the ratings season was Working Dog’s low-key choice, according to host Tom Gleisner. “It was a soft launch, you might say, which was exactly what we wanted. We knew the show wouldn’t be exactly right from episode one,” he tells TV Tonight. “So we were able to make some small tweaks and trims as we went along. After the 8 episodes we feel we’ve got a good handle on it, so I don’t think there will be anything dramatically different upon our return. “We certainly didn’t ask them to sign a confidentiality agreement, but it was mutual. If I could invoke the memory of The Panel, that’s exactly what we did on that show all those years ago. “There are some shows, and comedy can fall this category, that just don’t warrant the bells and whistles. If you’re launching Schapelle or the INXS miniseries of course you’d be crazy not to take out billboards and do everything you can. “But for other shows it can be counter-productive. You’re better to just get on and hopefully let word of mouth learn the show is good and people will spot it. After 8 episodes the mix of comedy and news has a modest, if fervent, following. But it’s been given a chance to grow, with TEN open-ended about how long it will run in 2014. Does that mean it could run all year? “As I understand it there’s no end-date as such, but we know in television that nothing is a guarantee. As long as we don’t totally run the network off the rails I think they’re happy for us to chug along,” Gleisner says. The format sees guests, mostly comedians, quizzed on news events from the week. While the format leans towards comedy, Gleisner says the intent is to also be genuinely informative. “There’s so much news around, we get it from so many different sources. But I think you’ll find people know a lot about one thing and almost nothing about another,” he explains. “Hopefully by covering genuine news right through to the slightly more-frivolous end of the spectrum you will end up with a half hour digest of the news of the week. “We’ve also tried to stay very true to quiz show rules. I don’t just randomly hand out 10 points if you amuse me. You get 10 points for a correct answer. Regulars on the show include Ed Kavalee, Sam Pang, Jane Kennedy, Glenn Robbins, Kate Langbroek and Mick Molloy but new comics are also given their shot. “Troy Kinne is a stand-up comedian who is a mate of Josh Lawson’s. He’s been a regular. On the last episode we had Tegan Higginbotham who did a comedy show based on (AFL player) Brendan Fevola,” he says. Recorded on Saturday nights to keep the news current, Gleisner says the show gives comedians free rein to have fun, but it’s important to get to a correct answer. “We say to our contestants, we do want correct answers. So by all means muck around but if all that people saw was the confected ‘joke, joke, joke’ with the occasional correct answer I think it would annoy them,” he says. If it does run all year, Gleisner isn’t worried about their ability to run short of material. News fodder just keeps on giving. Have You Been Paying Attention? returns 6pm Sunday on TEN. Hands up here…I think it is a great show. I presume it is recorded Saturday arvo in Ten Melbourne’s The Project studio following Before the Game getting the axe last year? Yes Harry, people like this show, don’t stop them making it. Last year there were ‘encores’ later in the evening, which I found much more easier to catch. Enjoyable half hour that I would rather watch than the vast majority of rubbish currently on air. Harry: the show ticks a lot of boxes. Australian content? Check. Low budget/production cost? Check. Introducing my kids and another (D) generation to the genius of Working Dog? Check. Not a crappy reality show? Check. Harry, what’s the alternative? More Simpsons? But it is a crappy timeslot, would be better off paired with another half hour show like MF surely? I like the show. I hope it performs well but 6pm Sundays is such a tough slot its basically being handed a death sentence especially on Ten. Given not much else rates on Ten why not try this mid-week, say a Thursday night at 7.30? Settle down Harry. Working Dog have been involved in The Late Show, Thank God You’re Here, The Panel, Frontline, successful radio and films like The Castle… I don’t think any of their TV shows set the world on fire to start with as they like the soft launch. Obviously Ten is giving them the benefit of the doubt based on their track record, hope it picks up as it goes on. It’s thinking like yours which has comedy on TV in Australia in the sad state it’s in. Bruce, TV is pretty simple -Ratings equals Revenue! If a show does not rate then it does not bringing in the required revenue. TEN needs revenue to invest back in their programming. They cant keep bringing back shows that don’t rate or they will end up going bankrupt! @Harry, I can’t see how HYBPA costs that much money, and it’s entertaining TV, I love the show. This series rated between 300K and 400K (not in Sydney – that wasNationally!!!) – that is a total ratings disaster. It will only do 300K on Sunday night at 6:00 as its a really tough slot. This is the problem with TEN, they waste their precious production budget on shows that don’t work! They tried it, a fair enough call, but it flopped, badly, so why would you do it again! A bizarre decision! Who the hell is running the joint! Think it’s a great show. Fast paced, and you get plenty of humour (and fact) packed into the half hour. BBC has banned all male panel shows, why not ask Felicity Ward, Wendy Harmer,Janet Mcleod. A bit late I know, but Mrs Slocombe would have had me in stiches on her first incorrect answer. Julie Bishop’s daughter, Bronwyn has shown great form as Speaker Of The House, give him a go. Like Sam’s understated humour but.